Two journalists were pitted against each other at the mag, one had to create a point and click type game, the other a platform style game. 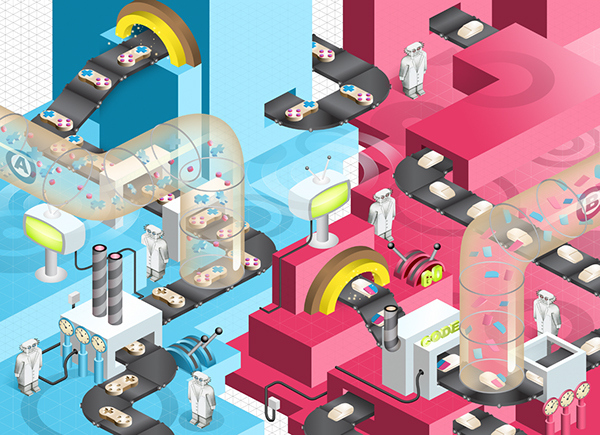 We made the illo look like it was team A boffins against team B with this colourful outcome! We really had fun on this and the client was very pleased with the results. We even got to create pencil rendered profs! A close up of the gaming factory. Here's our finished piece in all it's printed glory. 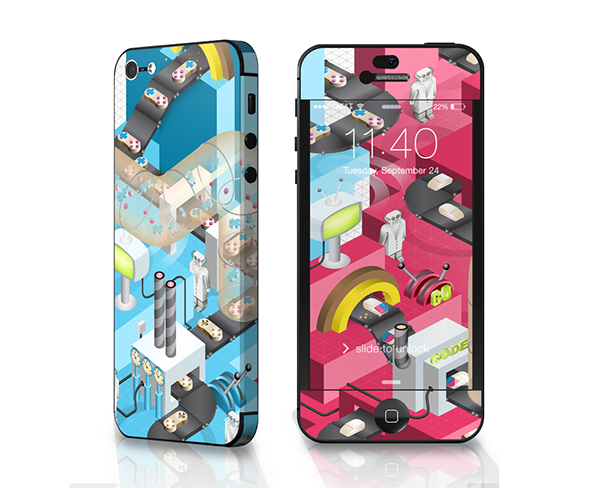 We partnered with gadget accessory company DecalGirl to produce a range of covers. 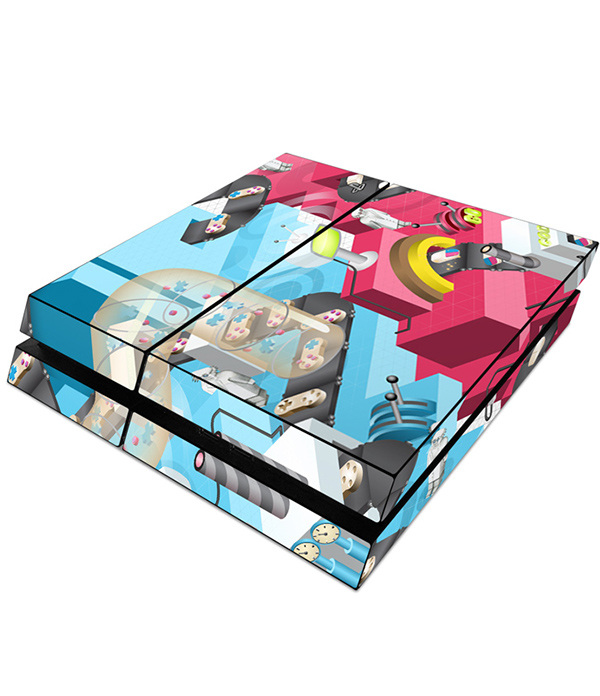 Our Sony PlayStation 4 skin, which, even if we say so ourselves, does look stunning on the console. 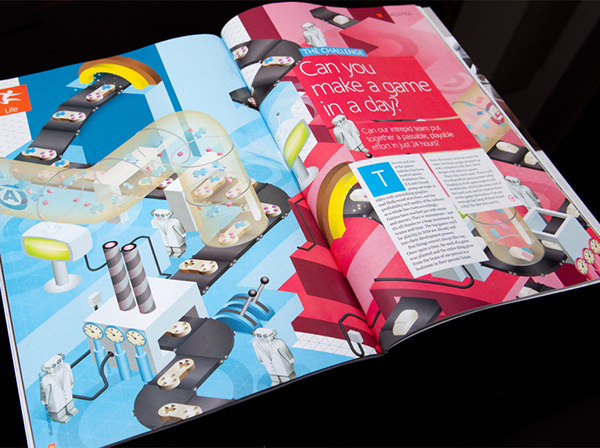 We were commissioned by the lovely chaps at Official Windows 8 Magazine to create a feature opener about creating a simple Windows game in a day - and we thought our deadlines were short!! (This image was for their very first ever issue) Two journalists were pitted against each other at the mag, one had to create a point and click type game, the other a platform style game. 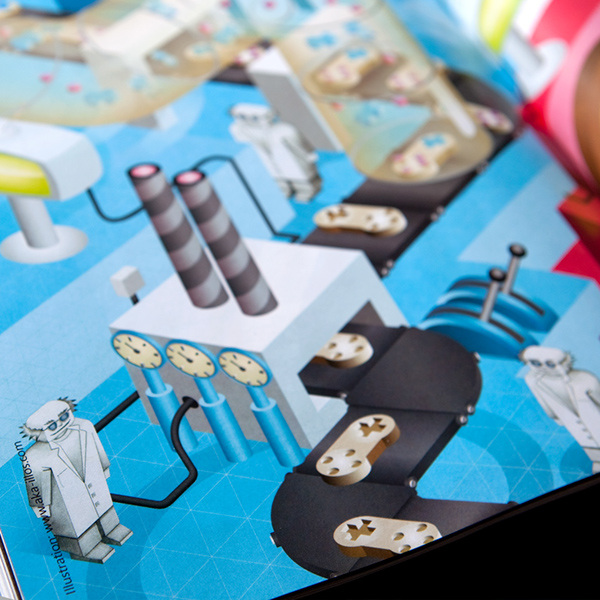 We made the illo look like it was team A boffins against team B with this colourful outcome! We really had fun on this and the client was very pleased with the results. 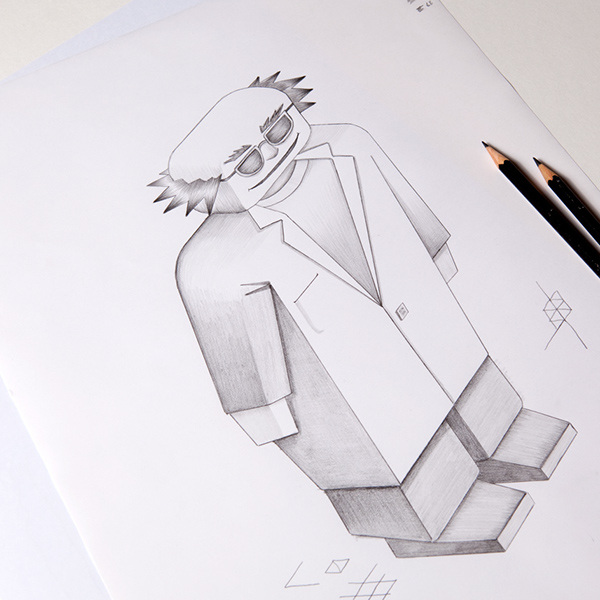 We even got to create pencil rendered profs!